Raising kids is hard work! As parents, we want to teach them important life skills and make sure that one day they are able to enter the world as successful young adults. One easy way we can help our children is by having them do chores. Chores can help teach valuable life lessons. Chores teach our children the importance of personal responsibility, goal setting and can help shape them into successful young adults. One thing to keep in mind is assigning your kids chores that are age-appropriate. This post will help you learn what tasks your children can and should be able to do no matter what age they are. Now before we start looking at the different chores your children can do at various ages, let’s tackle the hardest part about chores. Getting them to actually do them! Getting kids to take on chores can be a struggle when you first start assigning them, especially if your kids are older. The key here is to not give up and do it yourself! Your family is a team and everyone on the team should pitch in and help each other out. Consistency is key when getting your kids to do their chores. Do not do their chores for them! If you’ve asked your child to complete a chore, do not turn around and finish it for them. The chores should stay untouched until your child has completed it. Make sure you have consequences in place if the children do not complete their chores. I have found that by telling my kids no screen time until the chores are completed has helped ensure they get done. A big mistake that a lot of parents make (myself included) is not starting chores early enough. Yes, even a child as young as 2 or 3 can start doing simple chores. 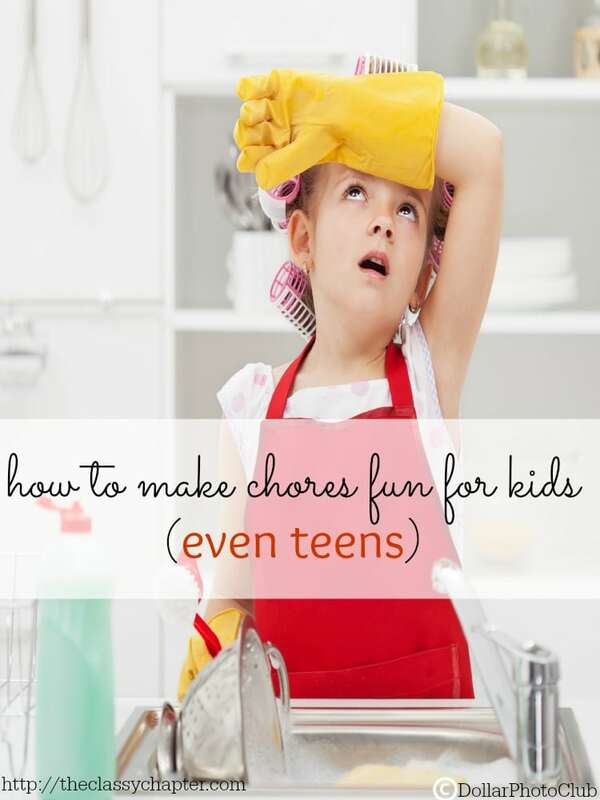 Start your kids young and I promise it will make getting chores done so much easier when they are preteens and teens! Let me tell you, my son is twenty and still doesn’t do his chores perfectly. Perfection just isn’t going to happen. No-one is ever going to do the job the exact way we want it. The point here is that the effort is put in. Sometimes you might have to redo something that they do and that’s ok! If there is food stuck on the dishes then, by all means, get those dishes clean. However, if they don’t fold the laundry just so, try to just let it go. Try not to judge your children as we don’t want to discourage them from doing their chores. When my children do chores, I want them to know that I recognize their effort. Even if they don’t do the best job, I still give them praise. Even better, if they do a chore without asking, I mark it down on their chore chart and do something special for them at the end of the week. They might get extra screen time, an extra treat or sometimes even a few extra bucks! Now I know everyone has their own views on this but a lot of parents find that giving their children an allowance works great! It’s really going to be a personal choice based upon what works for your family. There is no right or wrong answer but it’s something think about. I do expect my tween and teen to manage the money they receive from doing chores. Meaning they are expected to pay for their “extra” activities like buying snacks at the store with their friends, movies, video games, etc. 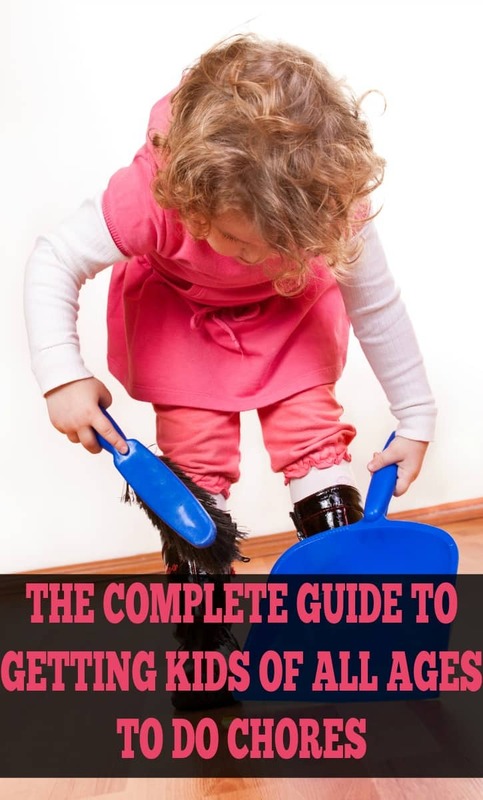 Once your child is between 2 to 3 years old, they are usually old enough to do simple chores. It’s a great age to get them used to helping around the house. 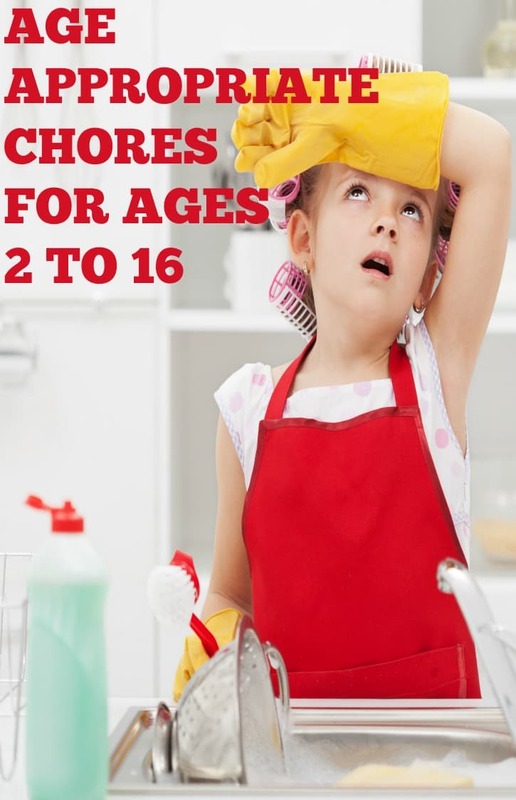 Most chores you’ll have to do with them but it’s still a great learning experience for them. I will typically have my younger children pick up their toys when they are done playing with them. This gets them used to picking up after themselves and sets expectations as they get older. I also have the younger kids help with simple things like feeding the pets, cleaning up food messes and even laundry! Now all of this is done with a lot of help from me but it still gets them involved in the process. Once the kids get a little older, they can start doing more chores on their own. At this age kids should be able to make their bed, clean up their bedroom, help put dishes away (no knives), watering plants and even helping me put groceries away. This is a fun age to get kids involved in chores as they still see it as a fun job. Once your kids are in 1st or 2nd grade, they should be pretty comfortable helping around the house. They should now be able to do a lot of the chores they’ve already been doing with little to no supervision. Remember they still won’t be doing their chores perfectly and that’s ok! Let your children make mistakes and learn how to do things on their own. I find that this is the age when you really start to notice a difference with your children and chores. They are getting better at perfecting their chores and by now they really know what is expected of them. It’s also a great time to start adding in some new chores like meal prep, washing dishes, helping clean the car and possibly even additional yard work. By the time your child reaches their pre-teen stage, which is between 11 and 12 years old, they are doing many things on their own. Your child can now start doing laundry on their own. Of course, you will probably have to supervise a few times to ensure they are using the right settings and the right amount of soap. You don’t want to flood the house! 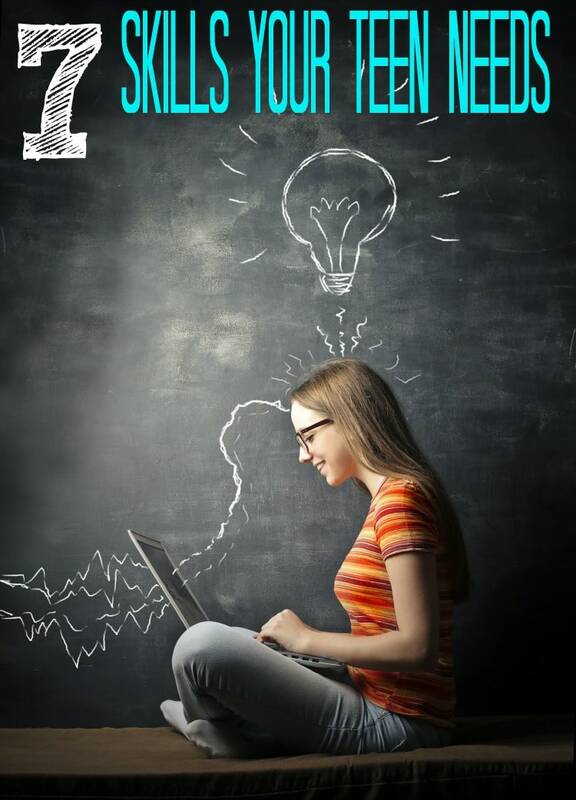 For your 13 to 15 year-olds, you want to start introducing skills that they will carry with them for life. You’ll probably want to start adding in some additional household duties. At this age, they should be able to replace the bag in the vacuum cleaner, iron their clothes, mow the lawn, and possibly even doing some minor repairs around the house. Your son or daughter will probably be able to prepare more elaborate meals from recipes and even make the weekly grocery list. Babysitting is also a great thing to have your children start doing. They can even do this in your own home under your supervision until you are comfortable with them babysitting on their own. These are life skills that help your teens take care of themselves. By the time your son or daughter is 16 or 17, they should be doing everything above and more! They should be able to clean out the fridge, do any housework, yard work, wash cars and if they are driving they can run errands. This is also a great age to start adding in some financial budgeting. Set your child up with a bank account if they don’t already have one. They should be able to budget their own money. You can even have your child help you with paying bills at this age. Grab my conversation starters for families by signing up for my newsletter below. Make sure to check out my other popular posts! Great post. I agree that it’s really important for kids to start doing chores early on. My daughter is two and, at the moment, she puts her own laundry in the basket and helps walk the dog. I’m working on getting her to pick up her toys. I believe that teaching her the importance of helping around the house now will be beneficial for everyone in the future. At the moment we aren’t giving her an allowance, but I think it’s a great way to teach kids the value of a dollar. I have bookmarked your article so we can ideas about chores she can do as she gets older. Great suggestions. My daughter is 27 months old and I’d really like to get her started helping out around the house however she can. I can sometimes get her to put her laundry in the basket and leave her shoes by the door. Getting her to pick up toys is a bit more challenging : ) But I agree, it’s important to start ASAP. I have bookmarked this article so I can refer back to it as she gets older! Such good ideas! I need to work on letting my kiddos take on more responsibilities at home. I never know what to have them work on off the top of my head. Thanks for these ideas – I’ll definitely start using them!